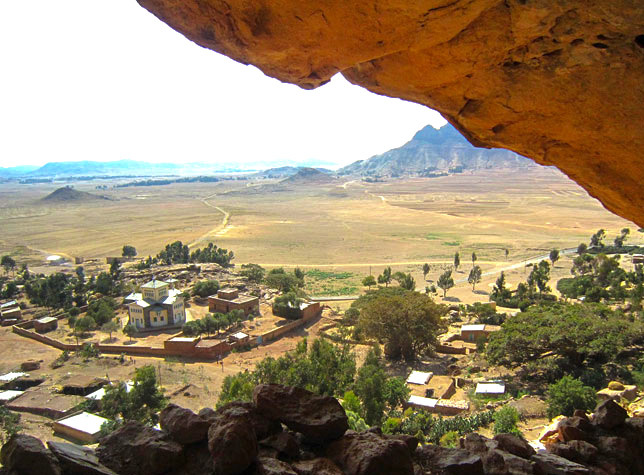 Asmara locally called Asmera sits 2350 m ASL atop the edge of the Eritrean eastern escarpment. Though it was already founded from a union of four villages in the 12th century, the Italian colonizers at the end of the 19th c take the conceit of its development as a remarkable city. It was made the capital city of colonial Eritrea by Governor Fernando Martini in 1897. Within the 50 years under the Italians it was transformed to a world class city nick named Piccola Roma (Little Rome). 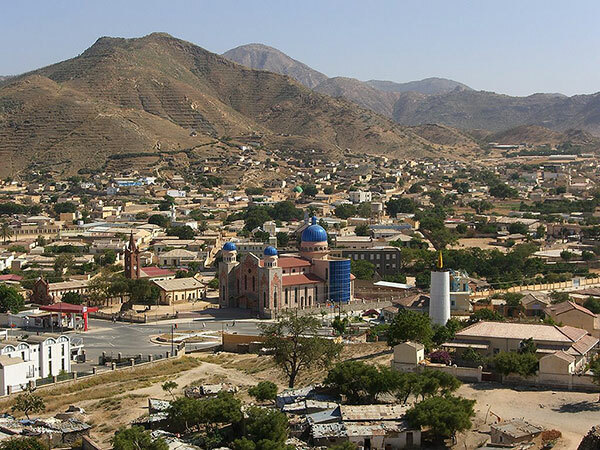 Keren is the second largest city in Eritrea located 91 Kms North West of Asmara at an altitude of 1390 meters. Its name means mountain in Tigrigna, but rather than being a mountain itself it’s surrounded by granitic mountains. It’s a beautiful city of typical features historically as well as, as a center of trade from north and west. Keren was a decisive combat field between Italian and British colonizers back in 1941 at the end of WWII. The war cemetery of that time is a monumental site to visit where the body of 1940s youngsters lies. Tigu, an Egyptian fort from 19th century, which rises 70 m above the city indicates that it had military importance ever since. The local market by the river bed together with the wood market on the back of camel caravans is very colorful scenario on Mondays. Mariam Da’arit, a statue of St Mary in a hallow section of a Baobab tree is a holy place and a popular shrine which is visited by thousands every year. 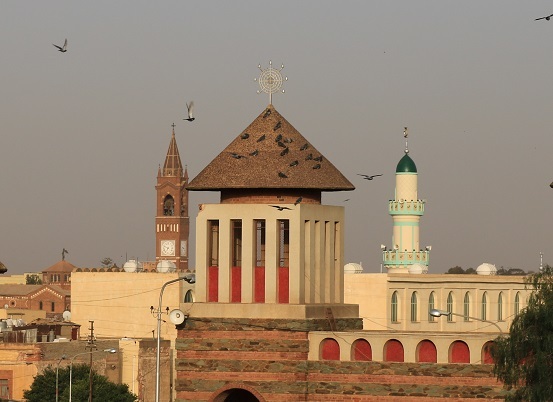 Though Keren is a city with stylish public buildings and Romanesque Catholic Church, it still is a traditional city where camels and donkeys outnumber cars. Massawa is a coastal city which used to be the capital of the Italian colony of Eritrea from 1885 – 1897 before it was moved to Asmara. It is a city comprising a mainland connected to two islands by causeways situated north of the gulf of peninsula and beside Dahlak archipelago. 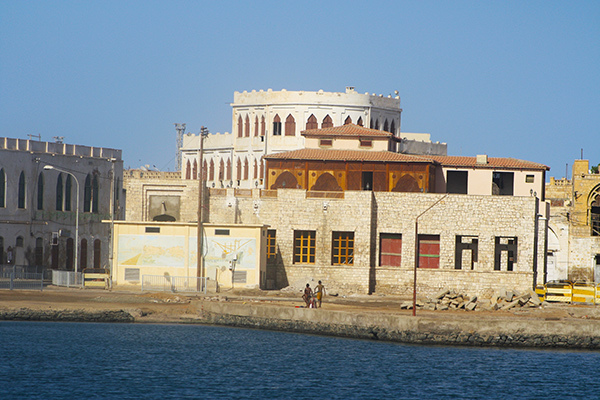 Massawa was a small village under the shadow of the famous port of Adulis that attracted different political entities. Though it was the Italians who created the modern port of Massawa, the Ottomans who ruled the coast for four centuries until the middle of 19th c, take the egotism of its transformation in to a prominent port. The famous features of Massawa are The independence War memorial, the Italian imperial house, old rail way station, the renovated Dahlak Hotel and St Mary Coptic church in Taulud. The old town or Batsie, where the natural deep water port is based is well known for its architectural composition of Turkish, Egyptian and Italian Buildings. The ruined 1920s BancoD’Italia, the shrine of Sahaba (proven to be one of the very first mosques in the world) and Sheik Hanafi Mosque with various coral houses from the 15th c are remarkable in this part of the city. The green island known as Sheik Seid, Desie, Madot and BurgamBurgela are islands in short distance worth visiting while the Dahlak archipelago islands are phenomenal in the Red Sea. 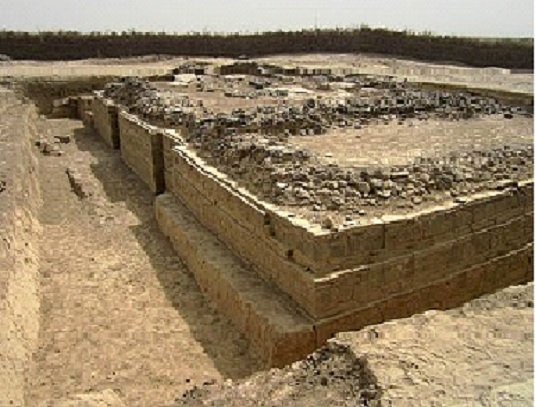 Adulis is an archeological site found in the northern Red Sea region of Eritrea, 48 Kms south of Massawa. It used to be the most significant port of the Axumite Kingdom, yet believed to have existed as early as 7th Century BC. It was the gate way for Axum to be the major power on the Red Sea and played a great role in its trade during 4th – 7th C AD. Roman merchants were also using the port before Axum in the 2nd and 3rd C AD. The archeological site of Adulis together with various written history, drive archeologists to the conclusion that it was a metropolitan city. The artifacts found here, namely curved marble columns,depicted figures on marble slabs, amphora wares, and variety of ceramics show that the Adulites were greatly influenced by other foreign cultures and way of life as a result of their close contact with them. The, now underneath earth buried Adulis is referred as fluvial rather than maritime port because of its 7 Km offshore location. Qohaito is a plateau located at an elevation of about 2,600 m and 2,700 m above sea level. 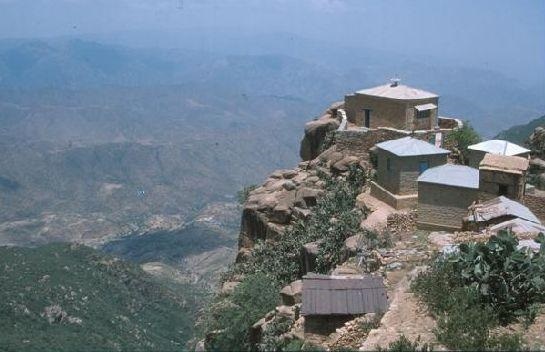 Qohaito positioned on top of the Qohaito plateau 2600 M ASL was at the cross roads of the main communication axes between the Red Sea and main lands of Metera and Highlands of Ethiopia. Qohaito is thought to be part of the great Axumite Empire, one of the known civilizations in Sub Saharan Africa. However its history goes back to the Pre-Axumite era. The cultivated areas between the ruined building complexes make it appear to have been a garden city. Amid the many relics, the Temple of Mariam Wakiro; a Christian church surrounded by dusty remains of other temples and sand stone hewn Egyptian Tomb named after the Tomb’s impressive dimensions, are famous. Because it’s situated at the edge of the Great Rift Valley the eastern part offers a phenomenal view of the coastal area on a clear day. DebreBizen is a monastery founded in 1350s by His Holiness Aba Fillipos. It rises 825 M above the town Nefasit on the top of mount Bizen. The only way to the 7Km climb is just Trekking. On the way up, the land scape changes from thorny bushes and cactuses to an evergreen forest and gardens covered with grass and green bushes in summer time. At the top lies the monastery which looks more like a village consisting monks’ stone houses, three churches and some class rooms. DebreBizen is home to about 150 monks who lead a modest life in harmony. It attracts Christian pilgrims from all over the country on its annual celebration on August 11. Its library contains more than 1000 medieval Ge’ez manuscripts.